The Ezvid Wiki community has published a list of the ten best books for dog lovers, including the adventures of Shola the dog ("The adventures of Shola", Pushkin, 2013). The latest news comes out of the United States, where the Ezvid Wiki website has published a list of the top 10 books for dog lovers, including the adventures of a little dog named Shola, brought to life by Bernardo Atxaga. 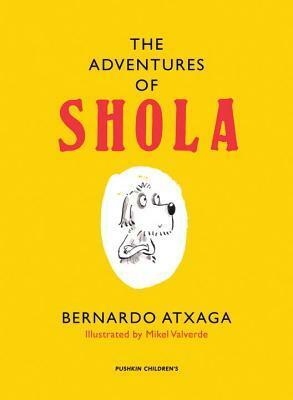 Shola's adventures were originally published in Basque as four books: Xolak badu lehoien berri (Erein,1995), Xola eta basurdeak (Erein, 1996), Xola ehizan (Gara, 2000) and Xola eta Angelito (Erein, 2004). The four original books were later published in English in 2013 under the title The Adventures of Shola (Pushkin). The English language edition has been well received since publication. The Independent included it on its list of best books of 2013, it was awarded the Marsh prize in 2015, and it has been praised by critics and readers alike.